A common (and frustrating) obstacle for salespeople is creating a sense of urgency with prospective customers. We often face meeting no-shows, or receive push-back from prospects because of busy holiday plans or end/start of quarter distractions. Whenever you are finding that your prospects are “just too swamped,” use these few tips for building trust to bring your product or service to the top of their priority list. 1. Help your prospects recognize their needs. Are you trying to keep your team focused on the right things? What are the key initiatives that you are working on, and how are you keeping your team focused on them? What are the specific selling behaviors that you would like your team to improve on immediately? Key takeaway: “Need to have” products create urgency. “Nice to have” products get the push off. Which is yours? The less you sell/pitch, the more you’ll command the attention of your prospects. Of course, you will ultimately be trying to demonstrate your value, but the key to a successful conversation is simply lending an ear. Making the conversation primarily about them, as opposed to what you’re selling, will keep your prospect engaged — and you may be surprised at the urgency you can create by allowing your prospect to come to their own conclusions, as opposed to berating them with sales speak. Key takeaway: You have 2 ears and 1 mouth — use them proportionately! Once you have your prospect on the phone, make this time count. This is the perfect opportunity to communicate and share ideas on how to quickly resolve problems or address concerns that affect them. Be clear and articulate on how you can minimize pain points and add value where there’s a need. Oftentimes, prospects respond favorably to a personalized attention to detail, which will help you have more candid, meaningful conversations that ultimately shorten your sales cycle. 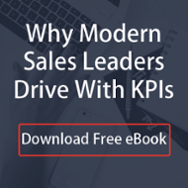 Key takeaway: Salespeople don’t create urgency. Problem solvers do. 4. Find reasons to continue communicating value. Continue to keep your prospects engaged by sending thoughtful notes, updates, relevant articles, case studies, eBooks and referrals. It only takes a few minutes each time, and becoming a valuable resource while staying on their radar will keep your offerings a point of focus. Obviously, pestering isn’t the goal. Offering beneficial information that informs your prospects’ decisions will be welcomed and help in maintaining communication while building rapport in the process. Key takeaway: You worked hard to plant the seed with your prospect, now make sure it grows. Providing value with persistence is what leads to sales wins. Try incorporating these simple steps into your everyday sales process, and you will not only create a stronger sense of urgency among your prospects, but help build the trust, rapport and satisfaction that will ultimately make the buying journey a success for all parties involved. 4 great tips for creating a sense of urgency with your sales prospects, especially when they're busy or hard to get in contact with.